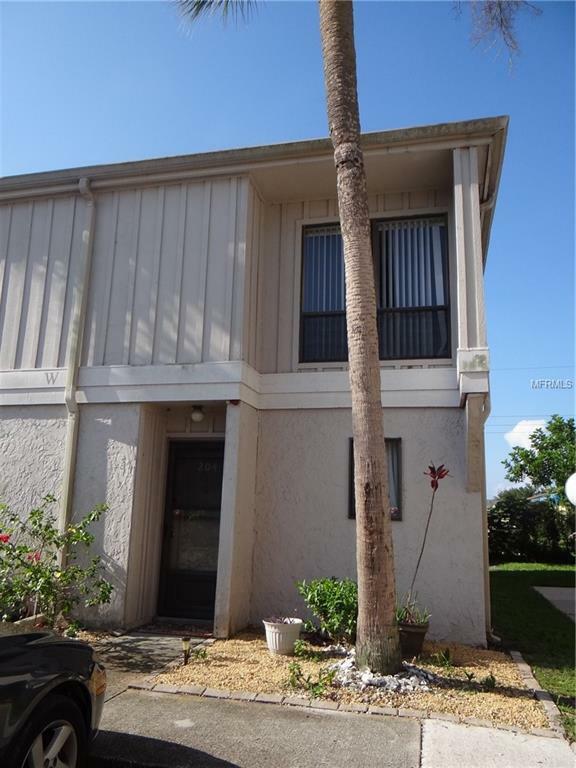 Excellent opportunity to own Sarasota property for under $100K! This 2 bedroom 1.5 bath townhouse is located near Publix, Walmart Market, Starbucks, bus line and much more! This unit may also be used immediately as an investment property or part-time as a snowbird. Tasteful updates in 2014 include kitchen with granite and stainless steel appliances, ceramic tile floor, carpet, interior paint. The A/C was replaced in 2015, the washer & dryer in 2016 and laminate floor in bathroom in 2017. Only a short walk to the community pool, tennis courts and basketball court. The Clubhouse is equipped for parties and may be rented through the management company. This unit sits in a quiet location in the back of the complex with surrounding units having owners/tenants with longevity. Two pets are allowed for owners only, no pets for tenants.